Eight people have been shot at a Martin Luther King Jr. Day march attended by thousands in Miami’s Martin Luther King Jr. Park. 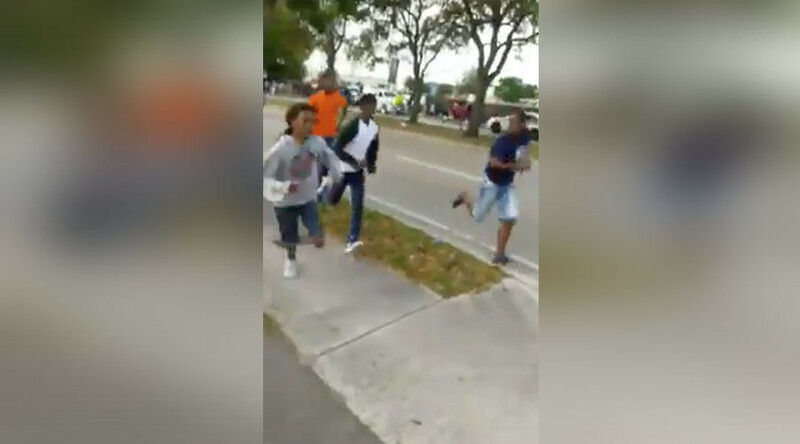 A large crowd gathered at the Martin Luther King Jr. Park in Northwest Miami-Dade County to pay respects to the civil rights leader, when shots were fired at about 3:40pm on Monday. Miami-Dade Police confirmed to RT that two African-American girls, one 13 and the other 11, were grazed by bullets and were treated on the scene, and released to their parents. Another five victims are in stable condition in hospital, with one 20-year-old man listed as critical. All the victims are African-American. At least two people have been taken in for questioning, and two firearms have also been recovered, according to police. A motive for the shooting has yet to be determined.